Kinesio Tape Classic or Kinesio Tape FP – What’s the Difference? Kinesio Tape, Kinesiology Tape Products, Kinesiology Taping News | by Tape Expert | Comments Off on Kinesio Tape Classic or Kinesio Tape FP – What’s the Difference? Dr. Kenzo Kase introduced Kinesio Tape to the world over 30 years ago. Now known universally, the original Kinesio Tape in beige, black, blue and pink (or red, as the company inexplicably calls it), has stood the test of time and is the best known brand in the industry. Recently, however, competitive products with newer features began to erode Kinesio’s market share, creating the need to update or be left behind. The challenge for Kinesio was how to offer an advanced product to compete with the new brands without alienating the millions of devotees to the original KinesioTape. The answer they came up with was to create an entirely new product called Kinesio Tex Gold FP, AND to give the original formula a facelift and rename it Kinesio Tex Tape Classic. Expanding from one to two distinct product lines has also allowed Kinesio to market separately to the health professional market and the consumer market. Kinesio Tape and the Kinesio Taping Method were originally developed for the health care industry. Since hitting the world stage at the Beijing Olympics and again at the London Olympics, however, consumer demand for the tape has skyrocketed. Simple taping instructions are now widely available in both print and video formats, allowing virtually anyone to successfully apply kinesiology tape. 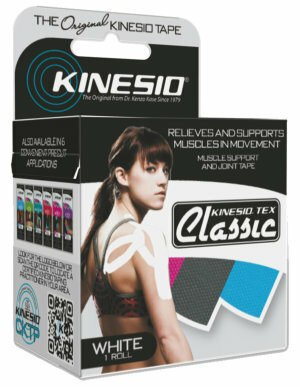 Kinesio Tape Classic is now Kinesio’s flagship consumer product. It utilizes the original wave pattern that has become known and loved the world over. Repackaged with a slightly smaller roll size (13′ vs 16′) and offered at a significantly lower price point (around $10 per roll), KinesioTape Classic is ideal for consumers and those new to KinesioTaping. Its lighter adhesive is hypoallergenic and latex-free, making it appropriate for all populations, including pediatric and geriatric skin-types. It is available in the traditional Kinesio colors of beige, black, blue and pink, as well as new white. FP stands for Finger Print, and represents the new adhesive technology that differentiates FP from other tapes. 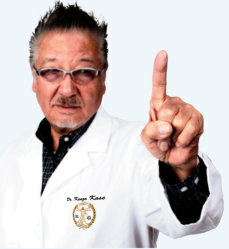 Dr. Kenzo Kase had envisioned a fingerprint-like adhesive pattern when he created the first KinesioTape over 30 years ago, but manufacturing methods at the time were not sophisticated enough to create it. 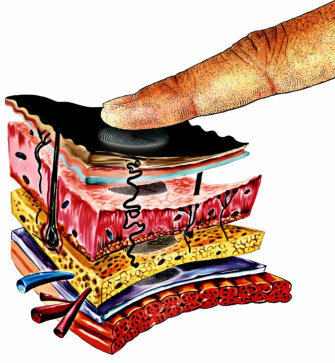 Now incorporated into all Kinesio Tape FP products, the fingerprint pattern allows deeper penetration into the epidermis and underlying fascia for enhanced therapeutic benefits, said to mimic the gentle touch of human skin. In addition, a higher grade cotton improves breathability and a new weave process enhances comfort. An advanced deep-set adhesive process provides better grip and longer wear-times with less adhesive surface area. Kinesio Tape FP is available in a variety of roll sizes, including 2″ x 16′ single rolls, 3″ x 16′ single rolls and 2″ x 105′ bulk rolls. It comes in beige, black, blue, pink and now white. Both Kinesio Tex Classic and Kinesio Tex Gold FP are available at Theratape.com, leading online retailer of kinesiology taping products. « What is Kinesio Tex Gold FP Tape?